The Midwest Ceramic Show at the Butler County Fairgrounds. Hundreds of displays will feature everything a hobbyist would need to start, or continue a ceramics tradition! The ceramics and doll show hosts pre-registered classes, daily demonstrations and open competitions. 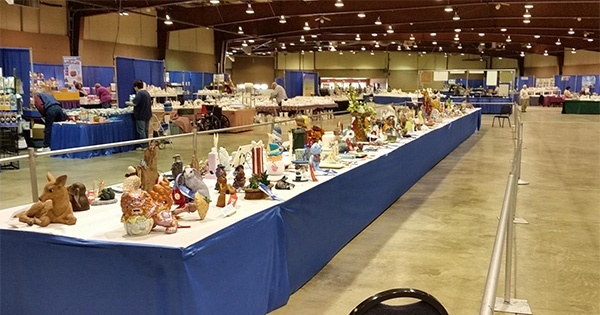 Hundreds of displays will feature everything a hobbyist would need to start, or continue a ceramics tradition! Show hours are 10am to 4pm Friday and Saturday. Find more events like "Midwest Ceramics Show"
The sole purpose of the Butler County Agricultural Society shall be for the improvement of agricultural horticulture, better livestock, uniform domestic science and art, general community betterment, together with all other industrial commercial and educational interests of the County.